One of the best ways to learn is with didactic games and that is why we bring you this fantastic title. This time we will use our cunning to solve math problems, and more specifically addition and subtraction. To make it more fun we will not use numbers but animals for these mathematical operations. It is said that knowledge does not take place and much less if we learn while we have fun with this game for the little ones in the house. Complete all addition and subtraction to be the first of the class in this game with animals. 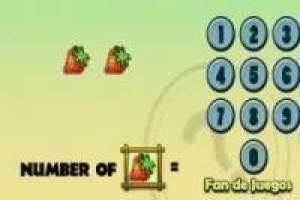 Enjoy the game Accounts and subtraction of animals, it's free, it's one of our mathematics games we've selected.